NATURALIST AND ARTIST GEORGE BUNNMAN SPENDS SO MUCH TIME sculpting in his “big studio” of Yellowstone National Park, that last fall a cow elk walked over and took a bite from one of his sculptures. It’s an example of the dedication this Gardiner, Montana, artist has for creating bronze sculptures with lifelike detail and expression. 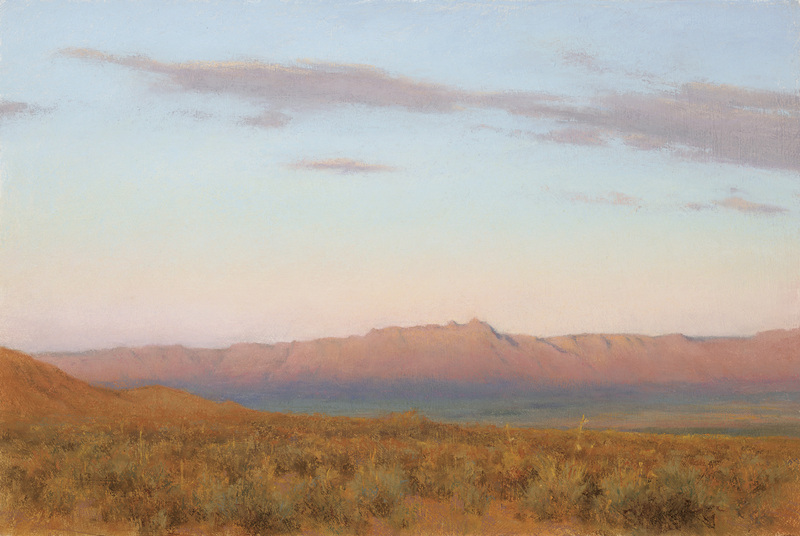 Observation is coupled with a background in the natural sciences to provide an authenticity to his art that’s earned its place in the permanent collections at the National Museum of Wildlife Art in Jackson Hole, Wyoming, and the Charles M. Russell Museum in Great Falls, Montana. 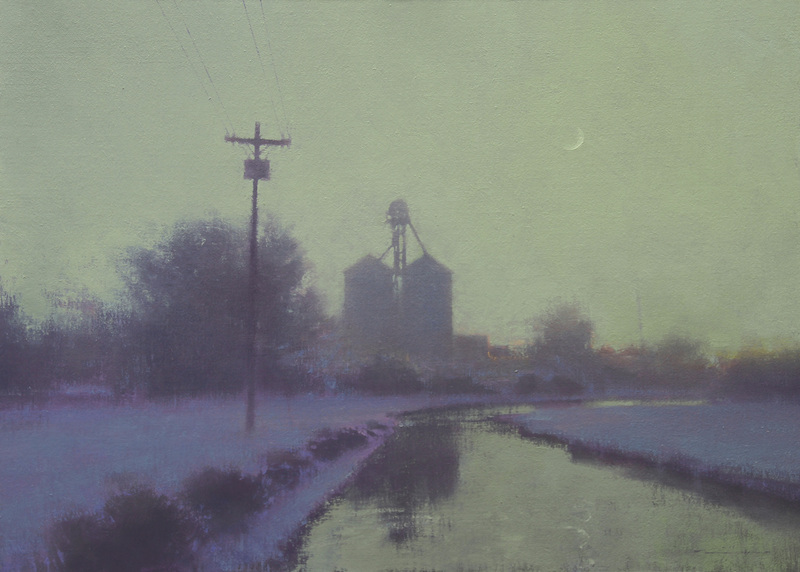 Bumann is just one of 14 noted artists selected from across the country to participate in Artistic Horizons, an art show featuring contemporary representational works in Bozeman, Montana, this June. 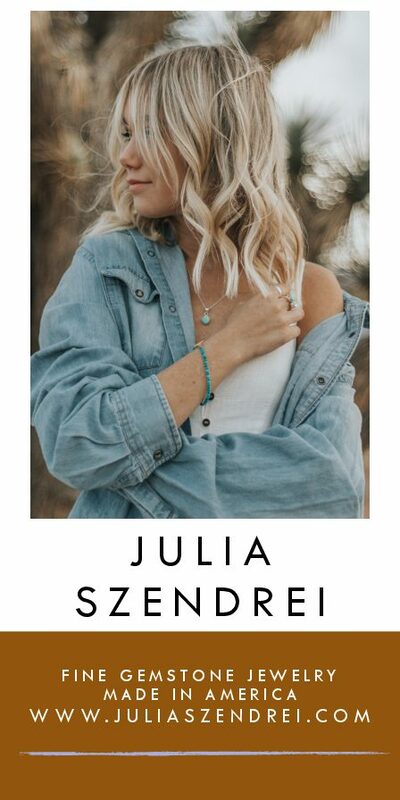 Proceeds from the show benefit Arts Without Boundaries, a nonprofit organization that supports music and art education in Montana communities. 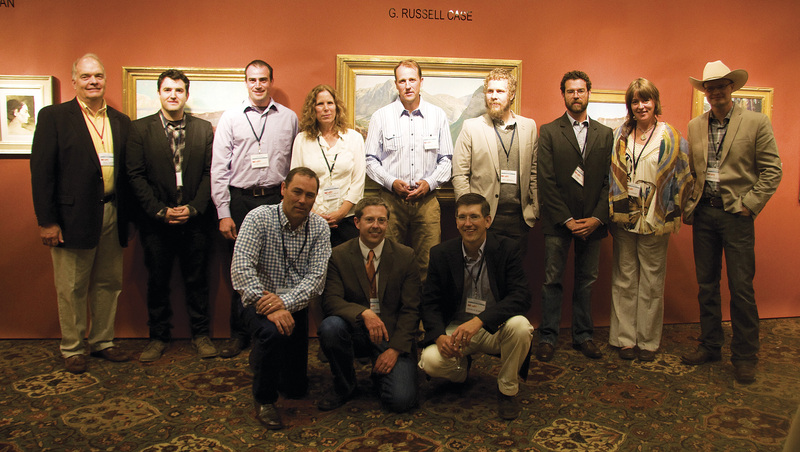 “It’s a national-quality event that’s right here in our backyard, and on top of that it’s for an extraordinary cause: to help other kids learn to enjoy art the way I did growing up,” said Bumann, who plans to exhibit two sculptures inspired by his black Labradors, “the unofficial breed of Montana,” and a bronze of the iconic Yellowstone wolf referred to as ‘06 female of the Lamar Canyon pack. Bumann watched the wolf’s grandparents and mother and followed her for six years until she wander beyond the park’s borders and was killed in 2012 making national headlines. 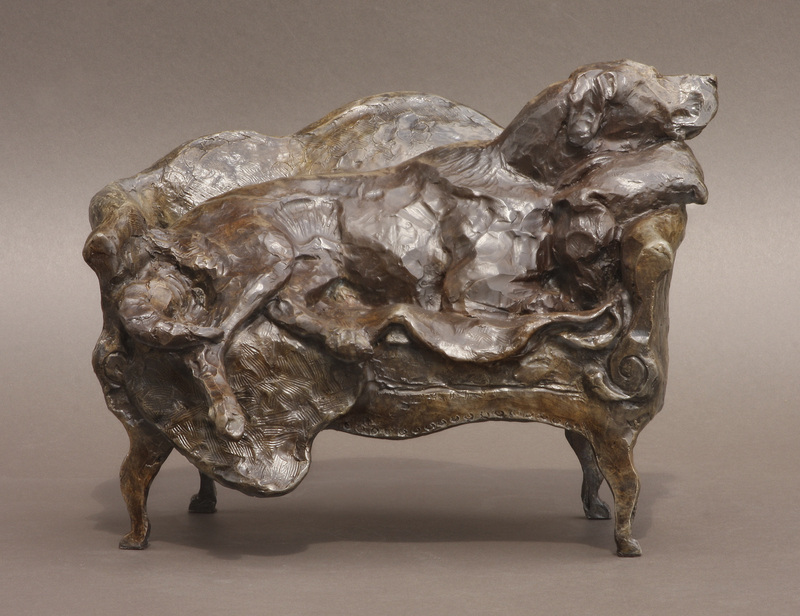 His sculpture was inspired from watching her kill an elk by herself, only to have it snatched away by a grizzly bear. 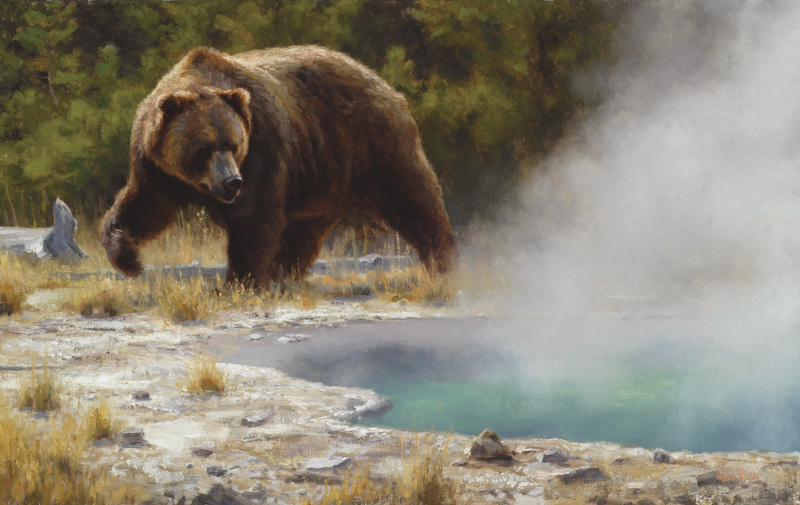 In the piece, she sits on the bank of the Lamar River giving the bear the “evil eye” for swiping her kill. 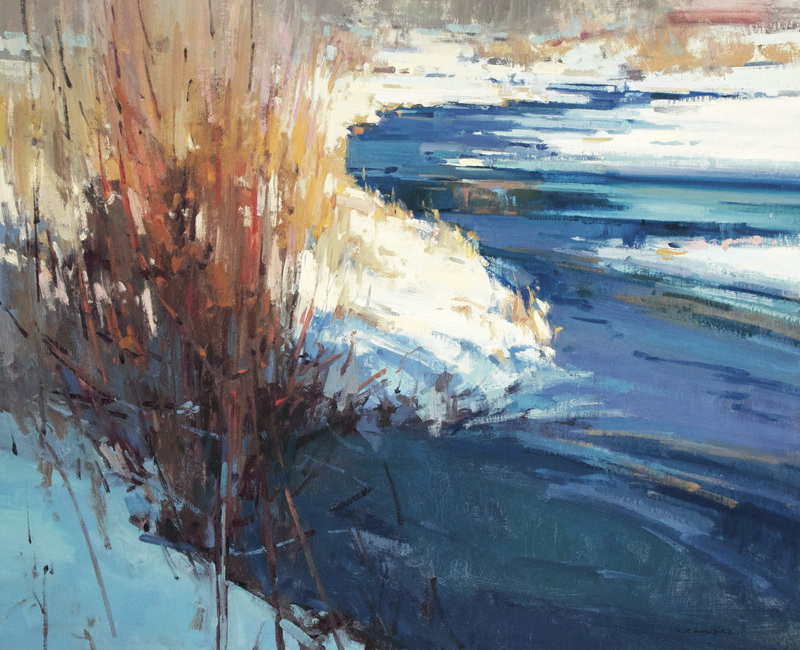 Other artists participating in Artistic Horizons include G. Russell Case, Jill Carver, Brent Cotton, Glenn Dean, Josh Elliott, Logan Hagege, Jeremy Lipking, Denise LaRue Mahlke, Eric Merrell, Grant Redden, Kyle Sims, Matt Smith and Jill Soukup. Sims plans to exhibit two paintings in the upcoming show, one of which shows an elk bedded down in warm afternoon light during the fall rut, titled A Little Rest for the Weary. Arts Without Boundaries facilitates workshops, community concerts and provides free after-school art and music lessons. They seek to expose students to artists and musicians with national and international recognition. For the last 10 years, the organization focused more specifically on music education, but they’ve expanded their curriculum to include fine arts over the last two years. The organization works directly with school districts to find and target students’ needs. “Our goal is to make sure that any kid in any income bracket with interest in art or music has an opportunity to pursue that interest,” said Brooke Weaver, managing director. The nonprofit serves around 6,000 students when you count those participating in assemblies and individualized instruction, Weaver said. 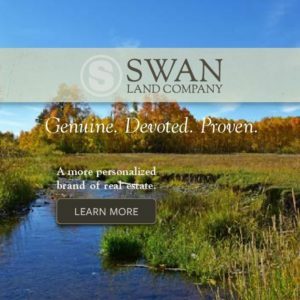 Currently, they facilitate programs in Billings and Bozeman, but their long-term goal is to expand into other communities through Montana, especially rural communities. As one of the nonprofit’s major fundraising efforts, the second annual event will bring together artists that were hand-selected from across the country. “We are trying to ensure that every artist with work in the show has good work, and I define good work as something you enjoy for a long time,” said Darell Tunnicliff, board president of Arts Without Boundaries, curator of the show and representative of the famed Western artist Clyde Aspevig. All works at the show will be priced under $10,000. 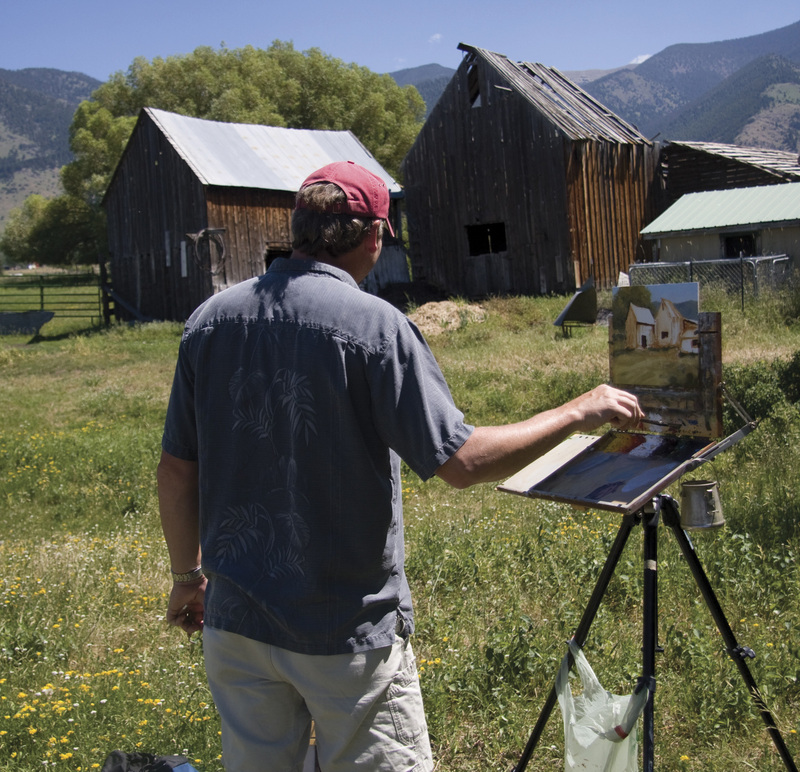 New to the fundraising effort this year are workshops specializing in plein air oil painting. These will take place June 24 to 29 and will be taught by landscape painters Jill Carver, Matt Smith and Skip Whitcomb. The workshops are planned for three or five days the last week of June and cost $550 or $600. Art teachers are able to participate on scholarship. 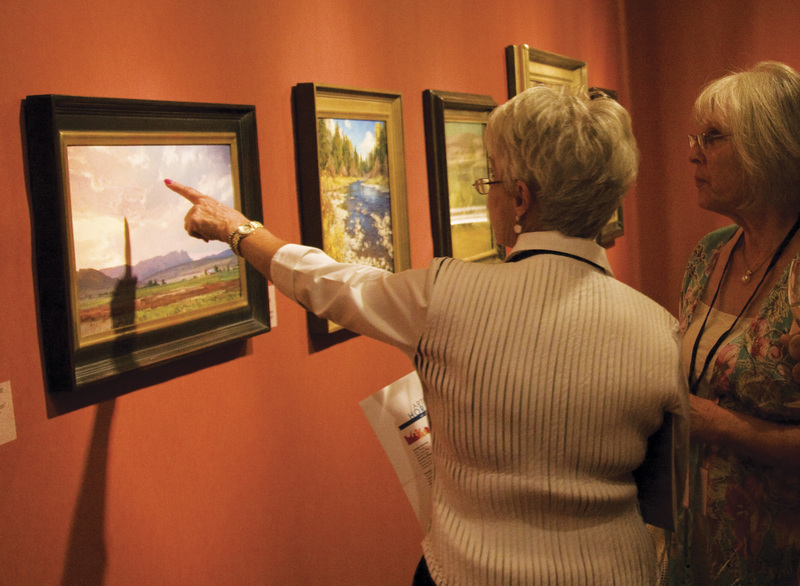 The Artistic Horizons show will take place June 27 to 29 at the Hilton Garden Inn Ballroom in Bozeman. There will be an opening gala at 6 p.m. on June 27 when participating artists will be on-hand to discuss their work. Music will be provided by Basement Jazz, a talented quartet from Bozeman High School. Tickets for the opening night gala are $50 and the show is open to the public the following Friday and Saturday. Visit www.artswithoutboundaries.com for more information.